The technological museum of Klenzing is located between the Museum Park and the restaurant "Zur goldenen Schaufel" in the Museum District. Its construction was started in April 2014 and finished the following August. The architect of the technological museum is Fritoeser who also provided the majority of exhibits. The most used materials are sandstone for the walls and marble. 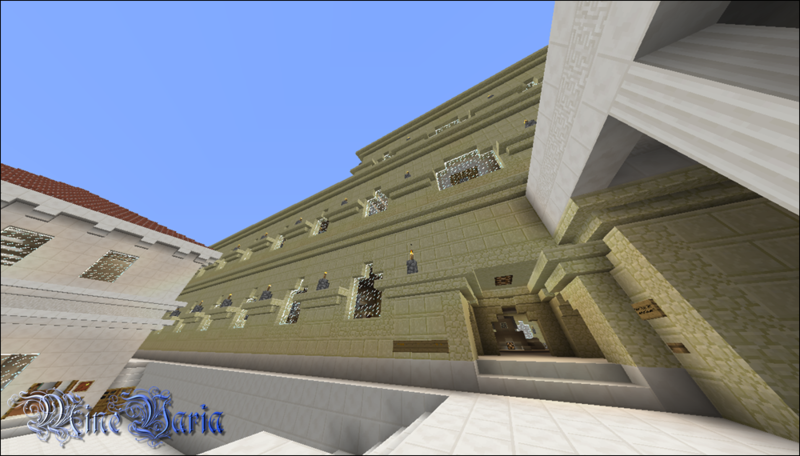 The classical building houses various redstone structures covering three floors. They're partly used in mechanisms in various parts of Minevaria. 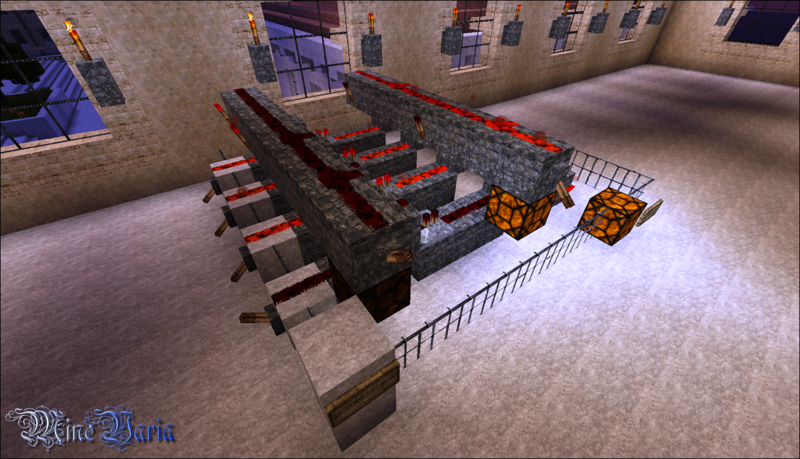 One of them is the schnitzel-fired power plant which is based on the item sorter. The core of the museum is the two-storied main hall. In the long north wing, there are mechanisms like the item-fired power plant on the ground level and digital technological components like the multiplexer on the upper floor. On the ground level of the short south wing, there are a T flip-flop, a two-color traffic signal based on such a flip-flop, and a side door to the Museum Park. On the upper floor, the "Fundamentals of Redstone Technology" are on display, i. e. individual components, like comparators or buttons, and elemental logic gates, like conjunction and disjunction. 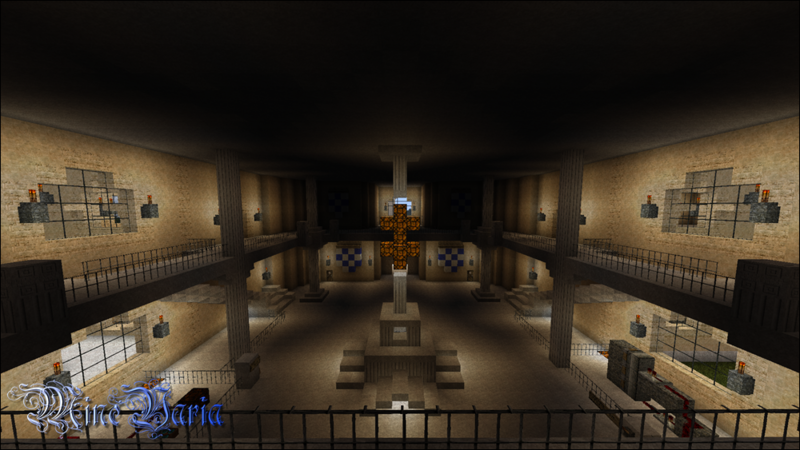 The second floor, above the main hall, can be accessed from both side wings. At the moment, it's still empty and thus not publicly available. The façade of the technological museum is inspired by the Marstall so that both museums and the Museum Park form a building ensemble. Exhibition "Fundamentals of Redstone Technology"